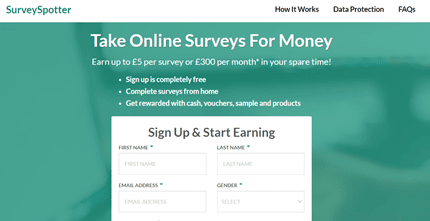 →Survey Spotter Review – Is It a Scam? 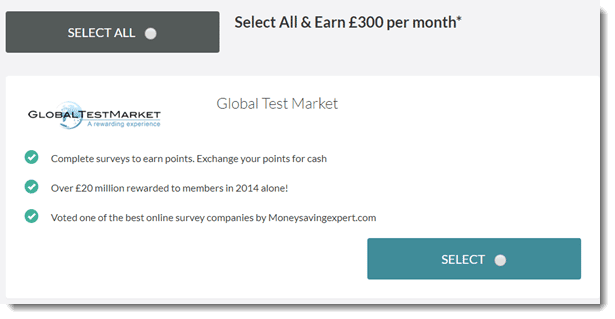 Survey Spotter Review – Is It a Scam? In this Survey Spotter review, I would like to cover all you need to know about this website and give you my honest opinion about it. Is it a scam? Or can you really earn hundreds of pounds in your spare time? By the way, if you want to discover how I made $472,50 during my 10-day vacation trip to Morocco, don’t forget to check out my # 1 recommendation. Survey Spotter is a website owned by a London-based company called All Groove Ltd. The platform connects users with different marketing research firms so you can complete online surveys for extra cash. When you share your opinions by answering simple online surveys, you are providing precious information that will help companies improve their products and service. Survey Spotter is similar to other sites that I have already reviewed such as Survey Compare, PanelPlace, Survey Voices, and Paid Surveys UK. It’s important to understand that Survey Spotter is not a survey panel, so it’s not directly responsible for surveys invitations. Instead, they only act as a simple affiliate, providing basic information and links to other survey websites. No, it isn’t. My research resulted in no red flags, and I can assure you that All Groove is a legitimate company. The only thing I didn’t like about Survey Spotter is they claim the average survey payout is £3. With this estimation, they say it’s possible to earn £300 per month in your spare time. Well, I believe you can earn £300, but it’s not going to take just 5 surveys per day, 5 days a week. The reason being that it’s extremely difficult to find a survey that pays more than £1. I used to take surveys more than two years ago, so I know how difficult it is to make £300. Not only because you will earn pennies for a 10 min survey, but also because you won’t qualify for every opportunity. Don’t get me wrong. The extra cash can help. BUT, if you decide to take surveys, it’s important to go for it with more realistic expectations. Trustworthy survey panels (except Greenpanthera). You will have to complete your profile for each survey company. The payment is not centralized, so the minimum cash out requirement varies. Unrealistic expectation. The average payout is probably less than £1 per survey. The sign up is 100% free and very simple. Just provide your name, gender, date of birth, email address, and you are good to go. The good thing about this list is that it shows the key features of each site, such as signup bonuses, payment methods, rewards, etc. Most sites are Okay, but I wouldn’t recommend MySurvey and Greenpanthera. I have seen lots of complaints about both websites on the internet, so I don’t think it’s worth the risk. After you click to continue, will be automatically signed up to all surveys panels, which is awesome because you are saving time. Each one of them will then send you a welcome email, asking you to click the link and confirm your registration. After registration, you need to complete your profile for each survey company, which can be very time-consuming. If you sign up for all platforms available, you should get a couple of surveys invitations on a daily basis. You can expect to spend 10-15 minutes on each survey and earn less than £1 or £2. So, it’s possible to make more than £100 per month IF you are consistent AND patient. Keep in mind that before you take the paid survey, they will ask a few questions to select the right candidate for a particular study. The problem is that you won’t qualify all the time, and you will waste a lot of time in the process. You won’t get paid by Survey Spotter because it’s only an affiliate site. Instead, you must request your payment from each survey panel individually. Most companies will pay you via PayPal and Gift Cards. I advise you to pay close attention to those sites that give you point rewards instead of cash. Make sure you know how much one point is worth, and prioritize those surveys that pay the most. Survey Spotter connects you with popular survey sites and allows you to sign up to all of them in one go. There are much better survey panels that are not included in the list such as Pinecone Research, One Opinion, and PaidViewPoint. Still, making money with surveys is not very exciting, and the pay is too low. I mean, it’s great to make money from home, but online surveys don’t have the potential to change your life. If you are not in a desperate financial situation, why waste your time to earn less than the minimum wage? 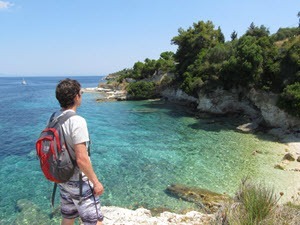 If you dream of time and location freedom, I advise you to build your own online business. It’s possible to make THOUSANDS of dollars per month working whenever and wherever you want. And yes, anyone can do it! 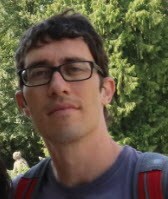 I had zero experience, but I joined an excellent step by step program that helped me build a website from scratch and attract a big audience to it. I took the lessons, I implemented the method for two years, and now I am making over $900/month. The business keeps growing, and there are no limits! It takes hard work and perseverance, but I suspect you would do whatever it takes to quit your job and live life on your own terms. Am I right? Well, I decided to give this a shot, and it worked for me. But you will never know if you never try! My advice? Go through the free course first and take massive action! You can learn more about this platform and my online business journey by clicking the link below. Thanks for checking out my honest Survey Spotter review. If you have any questions, just ask in the comment section below. tnx man for the advices that was pretty useful !